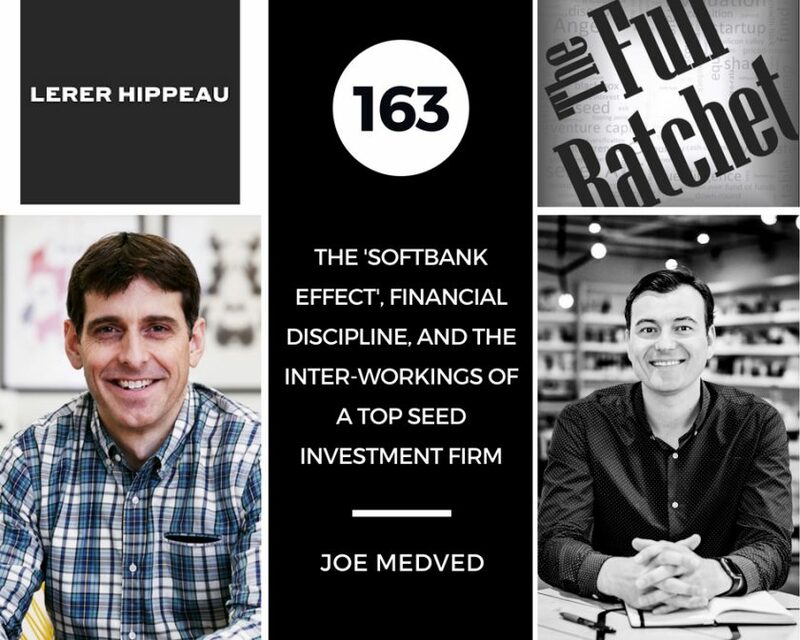 Joe’s take on the “Softbank Effect” and the challenges and opportunities created by it. Joe’s take on early-stage investors taking early exits when they are offered liquidity. Lerer Hippeau’s portfolio management process: How often they interact and what activities they engage in. Lerer Hippeau is a New York-first, seed-first fund. They have expanded investments to SF, LA, Canada, and Europe. They write a $1M check into $2-$3M rounds. They are very active and take a board seat. The early-stage Softbank portfolio was transferred over to Lerer Hippeau. At that point Joe also made the move. This is when Sofbank decided to focus on later stage, growth investing w/ their Vision Fund. The influx of late stage capital has significant impact on liquidity. Incremental, late-stage capital delays going public, lengthening time till liquidity. Lerer Hippeau adopted the Binary Capital portfolio in a similar fashion to the way they took over the Softbank early-stage portfolio. A big challenge to founders is financial discipline. There should be greater focus on optimizing outcomes. It’s important for founders to consider taking liquidity when they can, as it offers stability even when there are temporary downturns. This allows for greater risks. 3/4 of a firm’s decision is made by assessing the quality of the team. LH runs two regular meetings: One to discuss the investment pipeline and one for a broader discussion of the firm. When approaching firms, Lerer Hippeau doesn’t focus purely on themes. They are opportunistic. They start by identifying segments of interest and then a team member dives into that segment. The “direct to consumer” space is becoming an area of increasing interest. However, it’s often overlooked how vital experience is, especially within logistics and operations. At the Seed Stage, board meetings take a back seat to planning strategy, networking, fundraising, and improving engagement. Lerer Hippeau created a talent tracker containing connections to those with engineering and sales expertise, which is provided to their portfolio. Lerer Hippeau hosts events to facilitate interactions between those in their portfolio such as breakfast sessions. These are used to promote sharing of best practices. Mutual connections are the best way to get in contact with VCs. VCs should focus on leveraging data for investing decisions– biases often impact judgment.